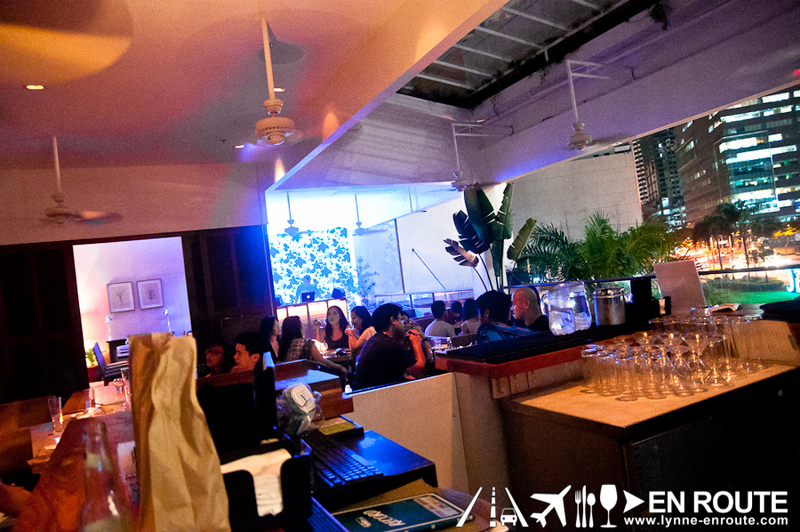 The affluent partygoers of Manila will always remember the Embassy Superclub (and its sister establishments Cuisine and Cafeteria) that arose in the early 2000’s. And its reputation has been widely known to everyone, even those who are not familiar with the scene as well as its possible reasons for closing. With that, the people running Bonifacio Global City has thought that it has worn out its welcome and has sent it packing to go somewhere else. After a couple of years, the old site of Embassy has transformed into one of the go-to Filipino restaurants in Fort Bonifacio: Aracama. 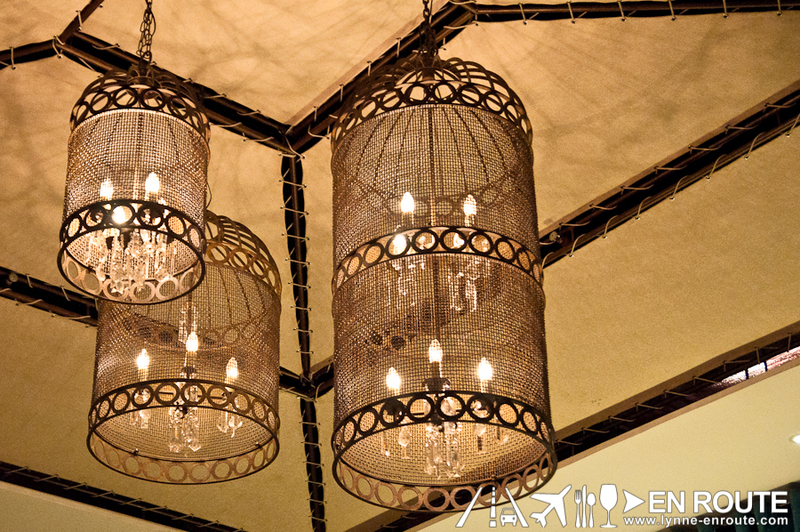 Aracama in Fort Bonifacio takes on the Filipino Cuisine, presenting its concepts on flavors with their personal twist, all in a lavish, modern minimalist Filipino design and interiors. It is very chic and inviting. Strangely, though, somewhere in it there seems to be a soul of the old Embassy still lurking around. It will apparently reveal itself as the night went by. 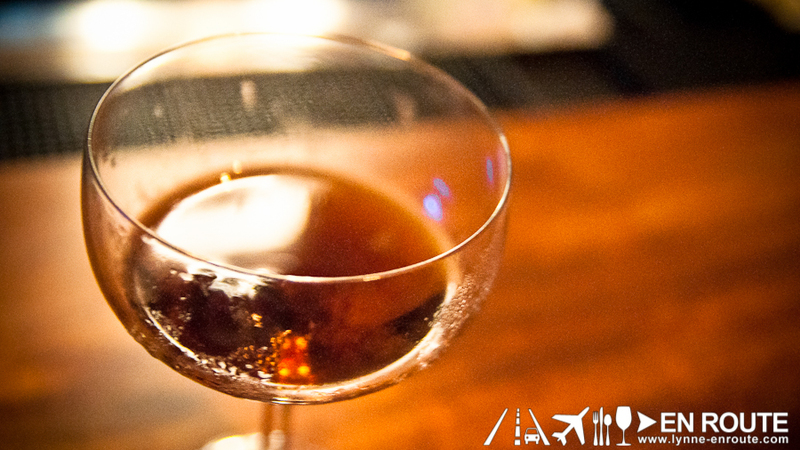 Start off with some of Aracama’s signature cocktails. 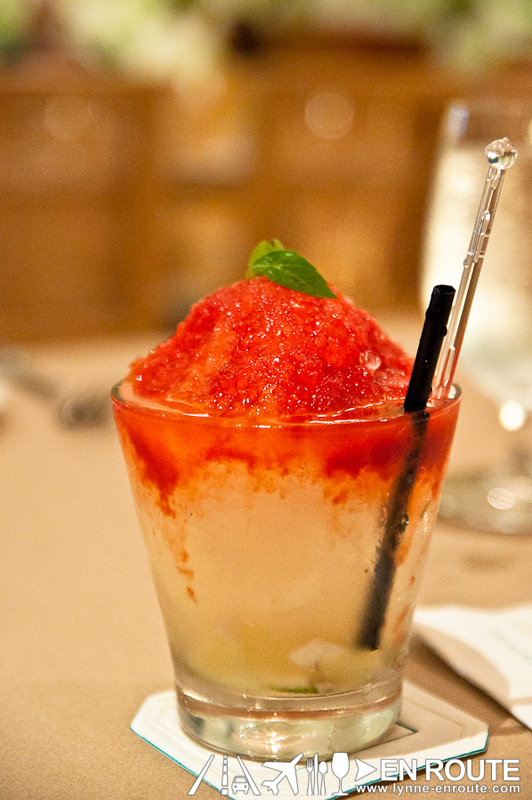 Aracama has a few mojito recipes that have been added with their personal flair. 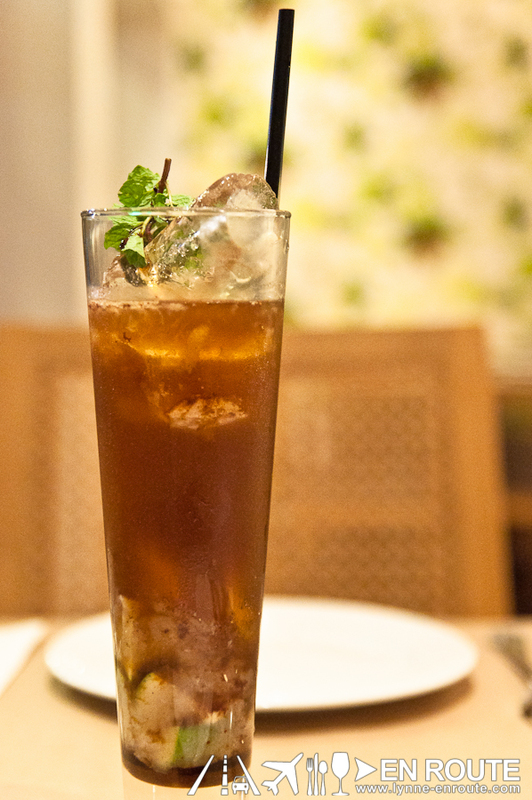 One of them is the Mojito Aracama using some native ingredients into the mix such as sugar cane and mascobado for its sweeteners, and local dark rums as the liquor base. The other one is their Mojito Mayon which has the muddled lime wedges buried under a mountain of crushed ice, topped with your choice of flavored syrup (Aracama has a list of these on the menu). The crushed ice somewhat solidified into one big chuck of ice, though. 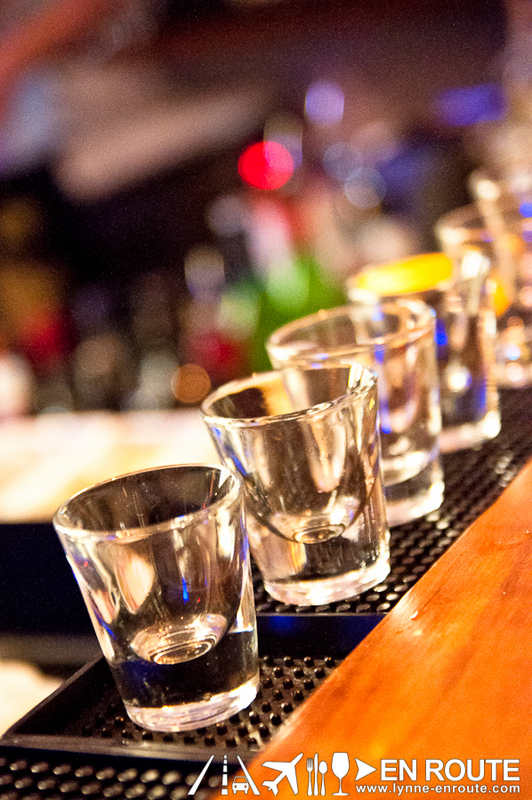 Partner those cocktails with a few of their appetizers. 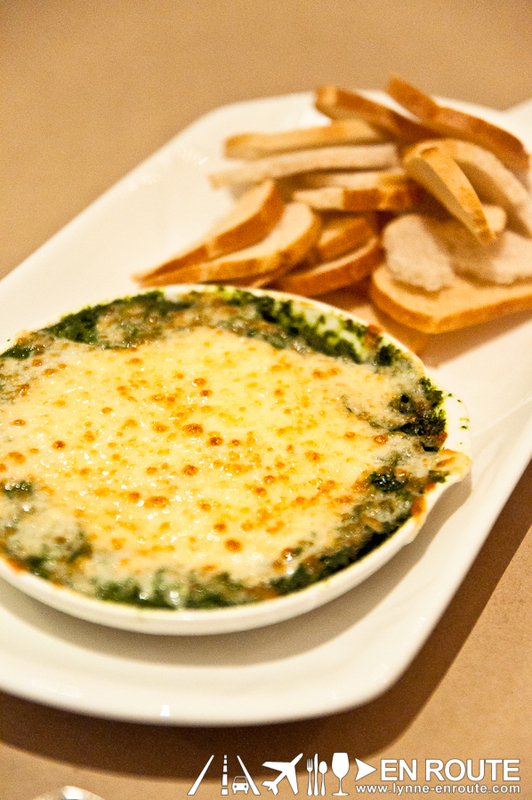 The Malunggay Mozzarella Dip (PHP 195.00) is a nice cheesy spread mixed with blended malunggay leaves. The leaves overpowered the cheese a bit, so adding a bit more mozzarella will balance the flavor. One thing that doesn’t need balancing, though, is the Tokwa at Baboy (PHP 210.00), with the ensemble tried tofu and pork chunks, swimming over a soy sauce-vinegar mix, topped off with onions and some chilli, this is Filipino bar chow at its most fundamental best. 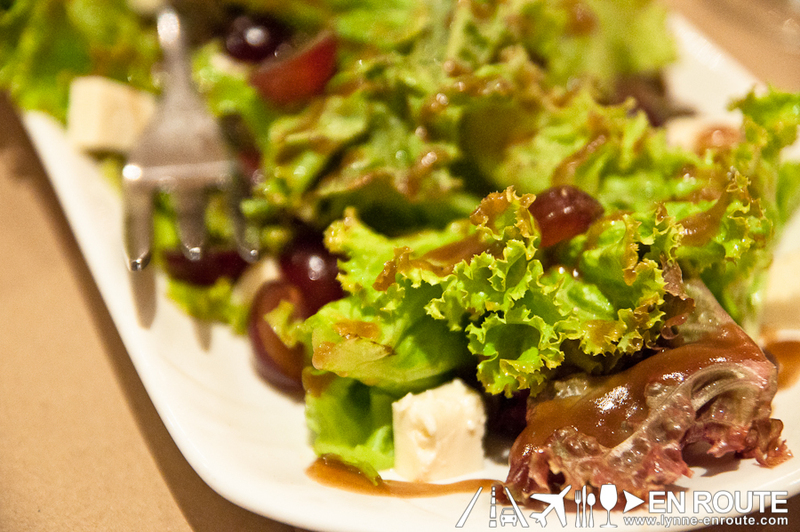 Other alternatives would be their Gambas Agilio (PHP 320.00) and Insalata Uva (PHP 220.00). Just these bar chows and salads alone, with their steep price ranges, might make you think this is what it has in common with the old Embassy. But it is not. Read on to find more. With Filipino cuisine and things that go great with rice, it has to be some meaty selections with sauces to give it added dimensions in flavor. 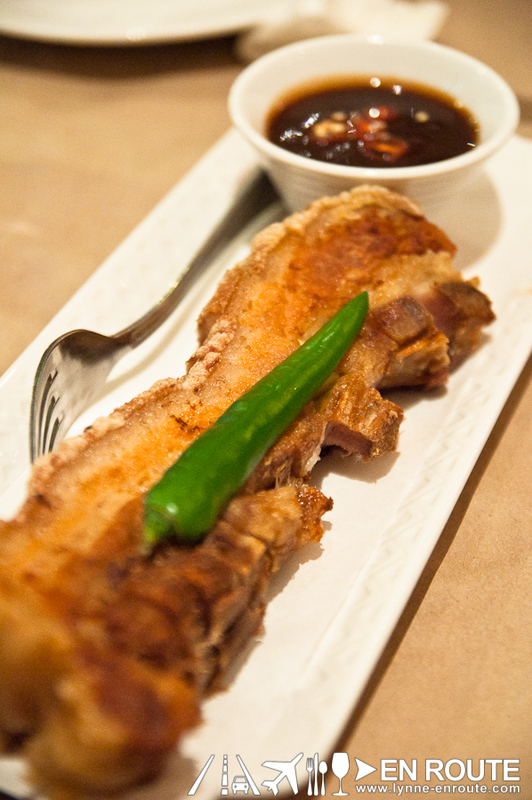 Their slab of Lechon Carajay at Sarsa (PHP 375.00) is crispy on the skin, but tender enough on the meat part. Dipping it into its accompanying sauce will make you grab a spoonful of rice. So goes the same with the Humba Baby Back Ribs (PHP360.00), with its beef braised in a sweet/salty sauce that you will probably smother over the starchy staple. 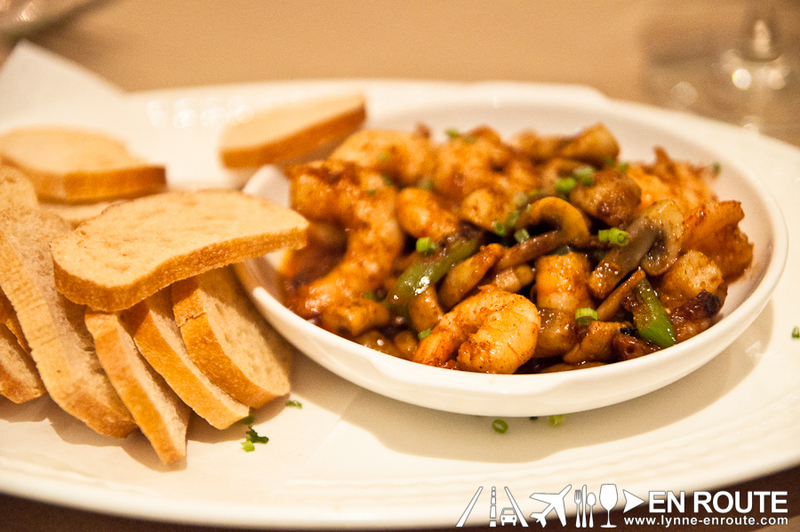 Partner these with some vegetable selection like Gising-gising (PHP195.00). 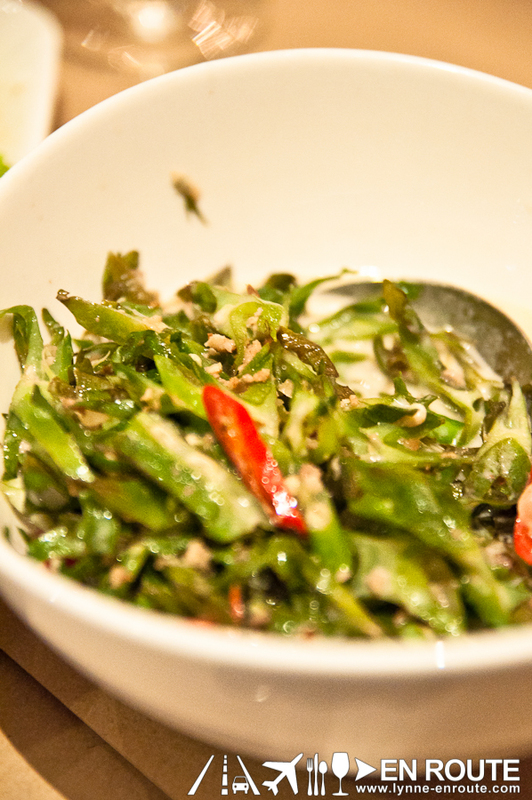 The coconut sauteed string beans kicked up with chilli spices keep you grabbing for more and topping it into your plate that may already be full of the other dishes. 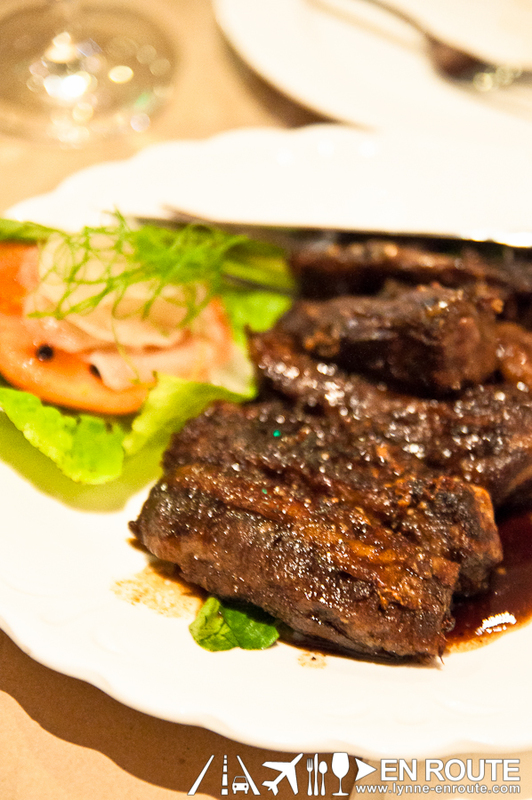 But festive indulgence of the gastronomic kind is what Filipino gatherings are all about. 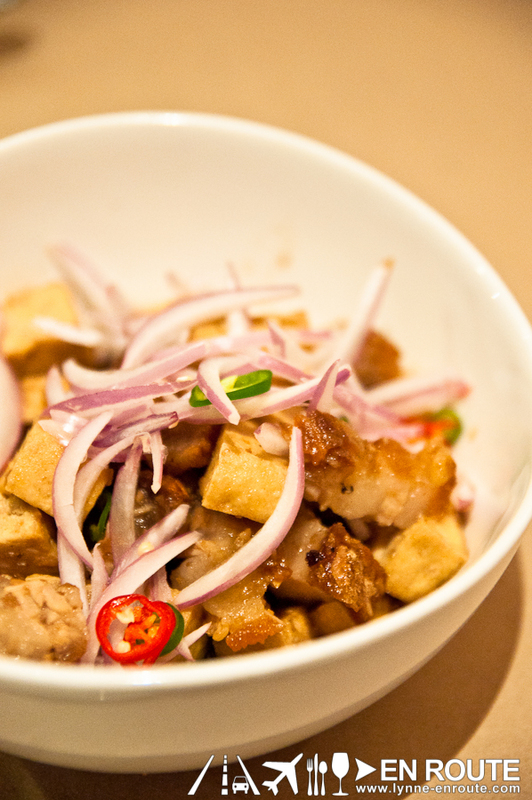 Everything is great for sharing, and Filipino food is meant to be shared. 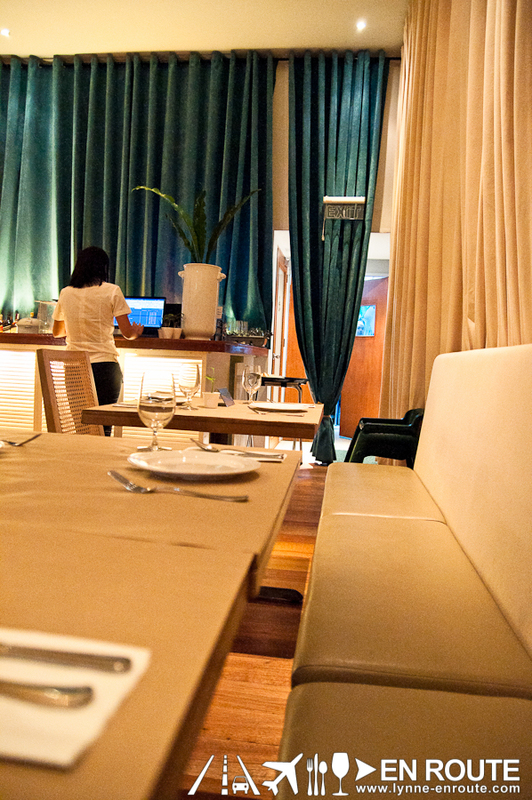 Good food shared with great friends over lively conversations is like a celebration in itself that may feel like a toned down version of the old Embassy, and deep into the night, that old spirit begins to show itself in Aracama. 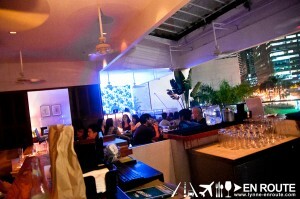 The second floor is turned into a sophisticated night lounge with the beats of chill house music oozing through the speakers. The minimalist Filipino interiors are now hit with warm mood lighting, playing around with its slim lines and subtle curves. Posh people are overlooking the veranda, toasting to the good times. The place feels like the next big thing in combining Western influences with the Filipino easygoing setting. It is somewhat like a Manila version of glitzy beachside lounges of Miami and Ibiza. 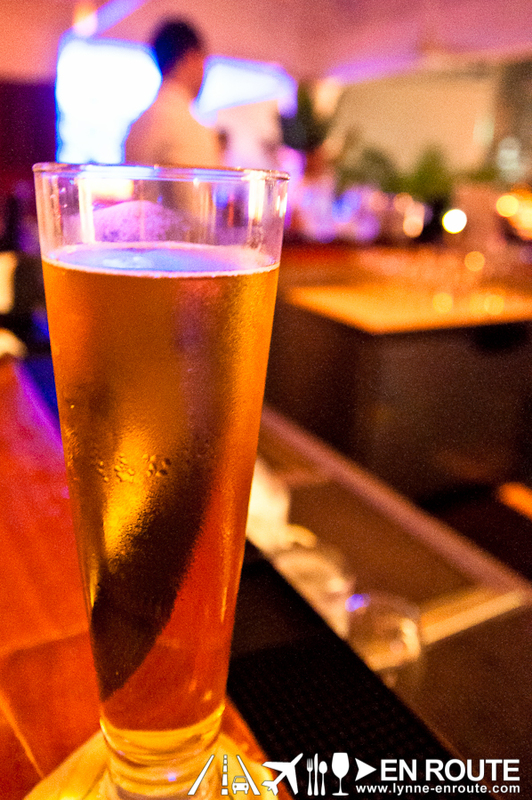 Continue through the night with a crisp beer or some shots of your favorite liquor. The rhythm of the music will enjoin you to stay longer and unwind a bit, carrying on the conversations with your friends from dinner time. Do this and repeat until the wee hours of the night, when it is time to retire. 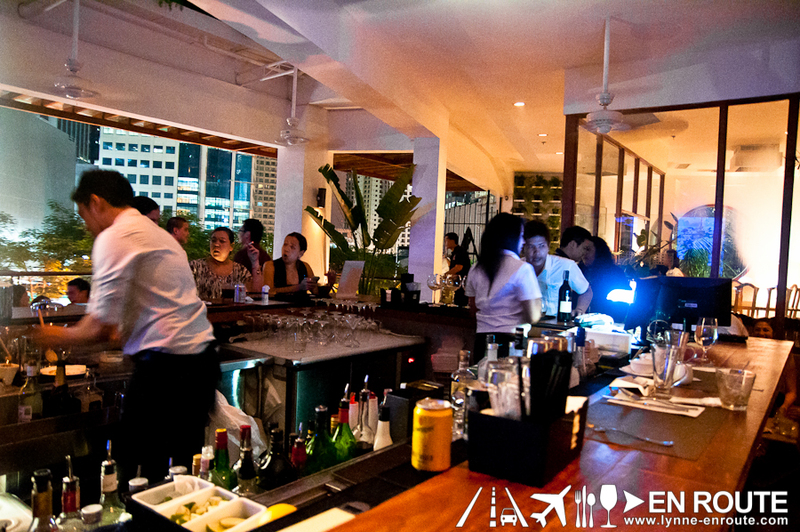 And with this, Aracama has combined the Filipino cuisine with the upscale and trendy urban lifestyle into the city that is slowly defining the best place in the Asian region on where to be when the night beckons you to have fun. And where is that best place to be at night? Manila. 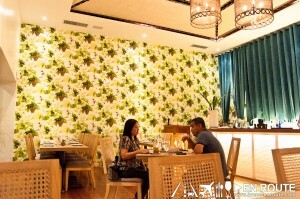 Aracama is located at The Fort Strip, Fort Bonifacio Global City, Taguig, Philippines. 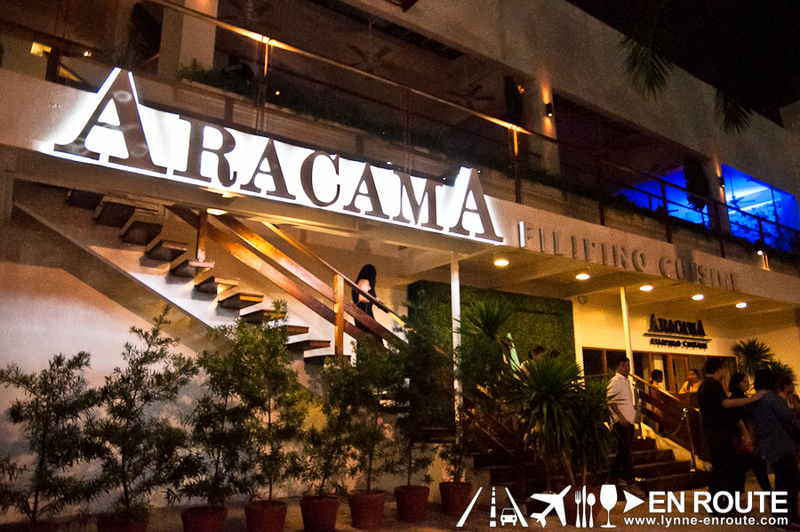 Have you been to Aracama? What is your rating of their cuisine and lounge service? Hit up some comments in the Facebook Comments Section below.